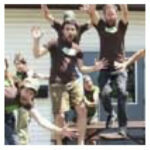 We’re hiring for production help! 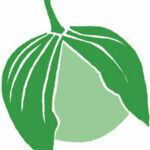 Seeking permanent production help at Real Pickles Cooperative. 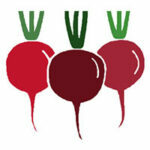 We are a small cooperative business based in Greenfield, MA, producing raw, naturally fermented pickled foods from local, organic vegetables. 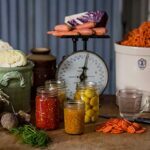 Work includes all aspects of production, including preparing fresh vegetables for fermentation (in season) and packaging finished product into glass jars. View full post on craigslist. 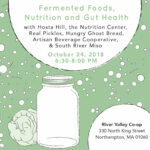 Real Pickles and Hosta Hill are teaming up for an in-depth presentation on home-scale vegetable fermentation! 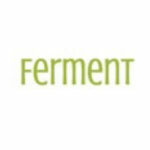 In this 1.5 hour workshop you’ll learn everything you need to know about fermenting vegetables at home, with information that can be applied to sauerkraut, kimchi, cucumber pickles, and kvass. 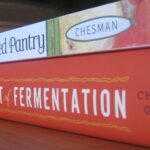 This event will provide beginners with the confidance to begin experimenting with lactic-acid fermentation in their own kitchen while also providing experienced fermenters with some new techniques to refine their process. 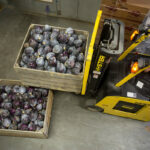 Probiotics, prebiotics, and now symbiotics? Everybody’s talking about the gut microbiome and its importance for human health- but what does it actually look like to live in a way that supports the bacteria in our bodies? 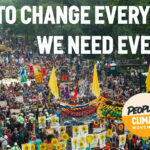 Seating is limited – register here! 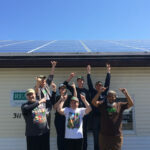 Annual Report: Year 5 as a Co-op!! 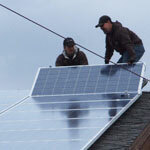 Sustainable Business of the Year! 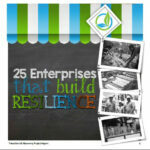 Real Pickles Recognized for Building Resilience! 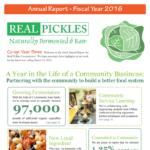 Our 2nd Annual Report – Year Two in Review! Fermentation is Hot (off the presses)! Garlic Dills win again at the Good Food Awards! 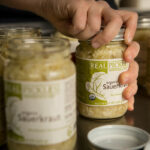 SAN FRANCISCO, CA – For the second year in a row, Real Pickles was awarded a top honor for their Organic Garlic Dill Pickles at the Good Food Awards in San Francisco, hosted by renowned chef Alice Waters. 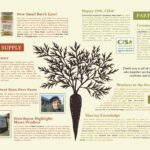 The Good Food Awards highlight outstanding American food producers who are making food that is exceptionally delicious and supports sustainability and social good. We’re a Double Finalist for 2012 Good Food Awards! 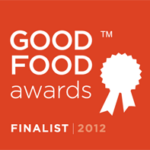 Real Pickles has been named a Finalist in the 2012 Good Food Awards! We captured two of the four spots in the Pickle category for the East region, with both our Organic Garlic Dill Pickles and Organic Red Cabbage chosen as contenders for Winner status. The Good Food Awards, now in its second year, seeks to highlight food producers making food that is “tasty, authentic, and responsibly produced”. Last January, we were honored as a Winner for our Organic Garlic Dill Pickles in a ceremony hosted by renowned restauranteur Alice Waters. In January 2012, we will learn whether we have won a second time! 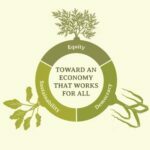 Real Pickles was honored at CISA’s Annual Meeting the other night with a Local Hero Award for “helping to build the local food system of the future” through our work. 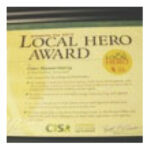 We have huge respect for CISA and their “Be A Local Hero, Buy Locally Grown” campaign, so it’s a thrill to be recognized by them. 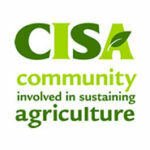 Thanks, CISA! 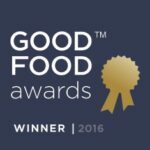 Our Garlic Dills win a Good Food Award! 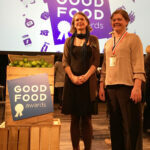 SAN FRANCISCO, CA – Dan Rosenberg and Addie Holland of Greenfield-based Real Pickles joined top artisan food producers from around the country on Friday for the Good Food Awards ceremony at the Ferry Building in San Francisco. 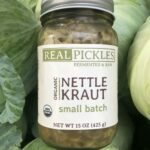 At the event, restauranteur and food activist Alice Waters announced the winners and, much to the couple’s delight, Real Pickles’ Organic Garlic Dills was on the list. 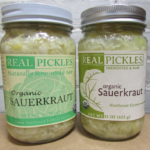 Real Pickles uses traditional methods to make its line of fermented vegetables. 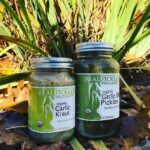 Their Organic Garlic Dill Pickles, as with all of their products, are made with certified organic vegetables from local family farms, including Chamutka Farm in Whately and Atlas Farm in Deerfield. 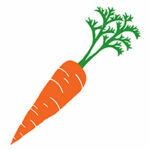 The garlic is sourced from Old Friends Farm in Amherst, and the dill from Riverland Farm in Sunderland. The pickles are available from area retailers including Green Fields Co-op Market in Greenfield, River Valley Market in Northampton, and many Whole Foods Market locations. 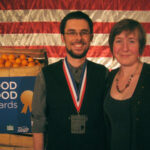 The Good Food Awards are given to artisan producers in five regions of the U.S. in seven categories: beer, charcuterie, cheese, chocolate, coffee, pickles and preserves, and highlight outstanding American food producers who are making food that is exceptionally delicious and supports sustainability and social good. 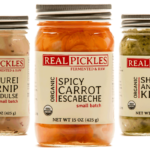 Real Pickles’ winning product was chosen from over 780 entries from around the country. 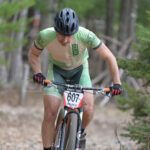 There were four other winners from New England, including Barrington Coffee Roasting Company in Lee, Massachusetts, and Cellars at Jasper Hill in Greensboro, Vermont.